Happy New Year from the Open Space Authority! The Open Space Authority is kicking off its 25th Anniversary Year in 2018! The Authority began in 1993 as a grassroots effort by citizen activists wanting to protect Santa Clara Valley’s important natural resources. We started as a small agency with an important role to play and have since grown into a diverse organization with greater capacity to make progress on our mission of conserving the natural environment, supporting agriculture, and connecting people to nature. Measure Q has provided further opportunity to fulfill our mission by enabling us to expand public access to nature in and around our urban communities, increase our environmental education programming, and help us maintain our open space preserves for public enjoyment. In this 25th Anniversary Year, we want to celebrate the natural and working lands around us, and just as importantly, celebrate our constituents, who have been so supportive of our work all along the way. We invite you to take every opportunity to get outside and enjoy nature by joining us all year long with fun events throughout Santa Clara Valley. Be sure to check our website for upcoming events. Of course, a great deal of planning has gone into these accomplishments. The Open Space Authority prides itself on working closely with a variety of partners on developing foundational research and planning tools that guide our projects, and also inform the work of our communities. These foundational tools include the Santa Clara Valley Greenprint, Healthy Lands & Healthy Economies, Coyote Valley Landscape Linkage Report, Santa Clara Valley Agricultural Plan, and Understanding Our Community. Check our news page regularly for further highlights of the work we and our partners are doing to protect our local natural and agricultural heritage, and to learn more about our past accomplishments. The Open Space Authority is excited to share updates in the quest to protect the Coyote Valley wildlife linkage between the Santa Cruz Mountains and the Diablo Range. The Authority and its partners at the Wilmers Lab at UC Santa Cruz, Peninsula Open Space Trust, and Pathways for Wildlife, started the Bobcat and Gray Fox Connectivity Study last spring and are wrapping up the final field season now with a total of 22 bobcats collared so far! 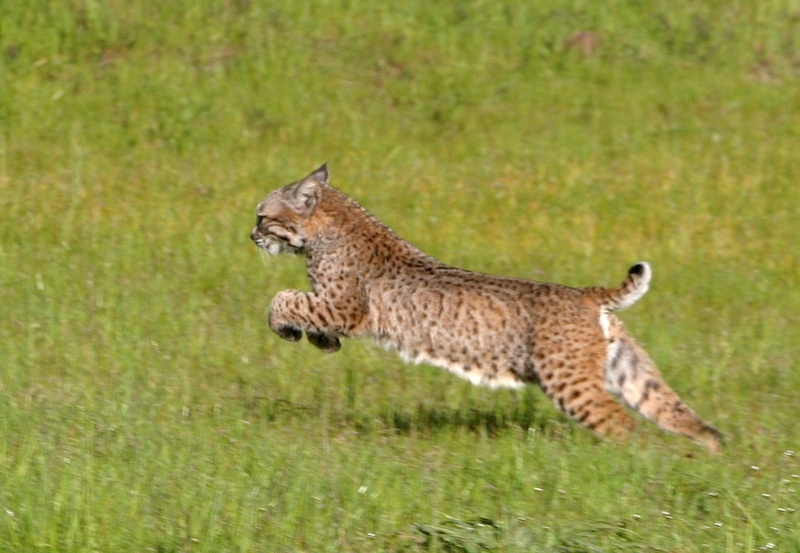 Fitting the bobcats with advanced GPS-collars is generating fine-scale movement data and information that will be vital to informing planners on how these animals are moving in Coyote Valley. The project initially planned to also include gray fox, but since the study began, only one gray fox was spotted in Coyote Valley despite extensive camera monitoring. Additional research would be needed to determine the cause of low fox detections during this study. The bobcat data is helping inform conservation and management actions, including where wildlife crossings over or under roads should be placed in order to reduce wildlife-vehicle collisions. Providing locations for animals to safely cross barriers such roads and highways is part of the conservation strategy outlined in the recently finalized Coyote Valley Landscape Linkage report. The Landscape Linkage report is a critical tool for implementing a shared vision to protect and restore this last chance landscape, which is crucial to protecting ecological connectivity and resilience in the region. The Bobcat and Gray Fox Connectivity Study is anticipated to be completed in 2019 and we will share it with the public and community stakeholders. The Authority will also be featuring Coyote Valley’s bobcats in a weekly social media series starting this month! Be sure to follow us on Facebook and Twitter to see photos and videos and get updates on these majestic creatures! The Open Space Authority is a small agency with a big mission and we need to work with like-minded organizations to accomplish our goals. In 2017 the Authority is proud to have increased our work with community partners to conserve land, restore landscapes, connect people to nature, and sustain our natural resources for future generations. 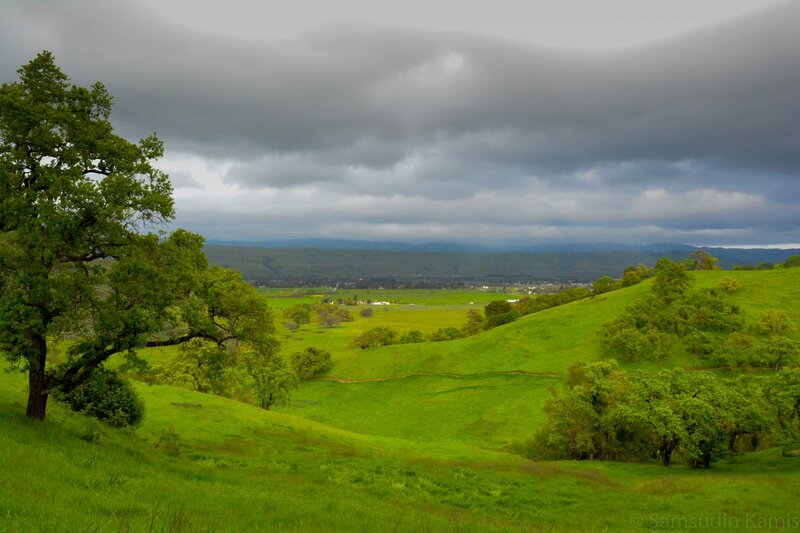 The Authority has worked closely with Peninsula Open Space Trust on a variety of Coyote Valley focused projects such as the Coyote Valley Landscape Linkage report, critical acquisitions in Coyote Valley, and the Bobcat and Gray Fox Connectivity Study. The Authority has also been working diligently with the City of San Jose on a Use and Management Agreement to co-manage Sierra Vista Open Space Preserve and Alum Rock Park. This vital partnership includes the City providing onsite office space and storage and in turn Authority staff are assisting with trail maintenance and invasive plant work. Wildlife Education and Rehabilitation Center has been a wonderful partner to work with in providing live animal experiences to kids, adults, and families throughout the Authority’s jurisdiction. Partnerships are important to the success of any agency, and the Open Space Authority is honored to be working alongside these amazing organizations. We look forward to seeing our existing partnerships flourish in 2018, and entering into new partnerships as well. As the hills shift from golden to green, you can tell winter has come to the Santa Clara Valley. While you might be spending a bit more time indoors on chilly, rainy weekends, it’s a wonderful time to get outside and experience our open spaces. In the winter, waterways seem to change overnight. Local creeks start to swell, and ponds, waterfalls, and seasonal wetlands emerge. These wetlands provide critical habitat for wintering wildlife species, and flood protection for downstream urban communities. Winter is a great time for bird watching in our open space preserves. 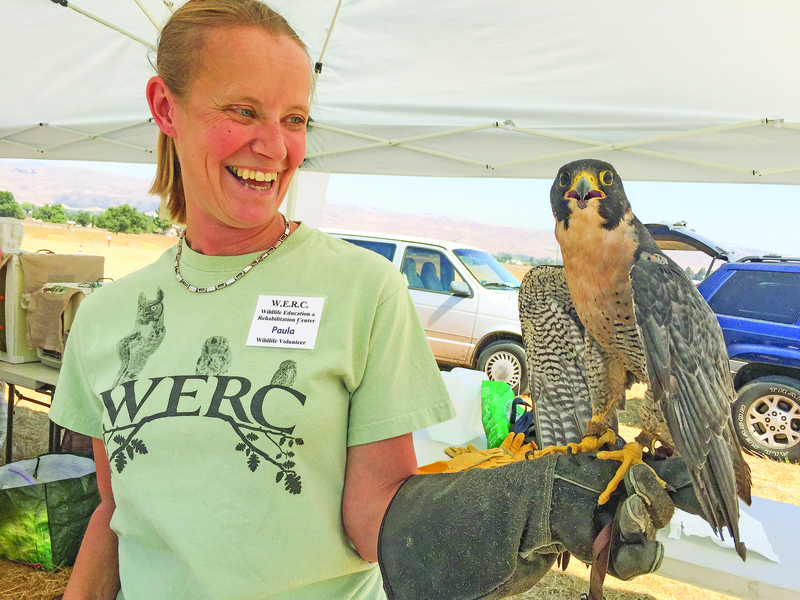 Wetlands and riparian areas in the Santa Clara Valley are key destinations for birds migrating along the Pacific Flyway, so the number of species you are likely to spot explodes. The wet conditions help native amphibian species thrive. The California tiger salamander, California red-legged frog, and Western pond turtle all breed in our local ponds and streams. The Open Space Authority gears up for the season with additional seasonal field staff, working to maintain safe, accessible trails and functional landscapes during winter months. The team works to clear invasive plant species that thrive in the wet weather, assess and repair trails, and monitor drainage systems and spillways to ensure they are intact. Staff also work to evaluate habitat conditions across the preserves. Read more about winter in open spaces and download our Winter Hiking Tips on the news page! 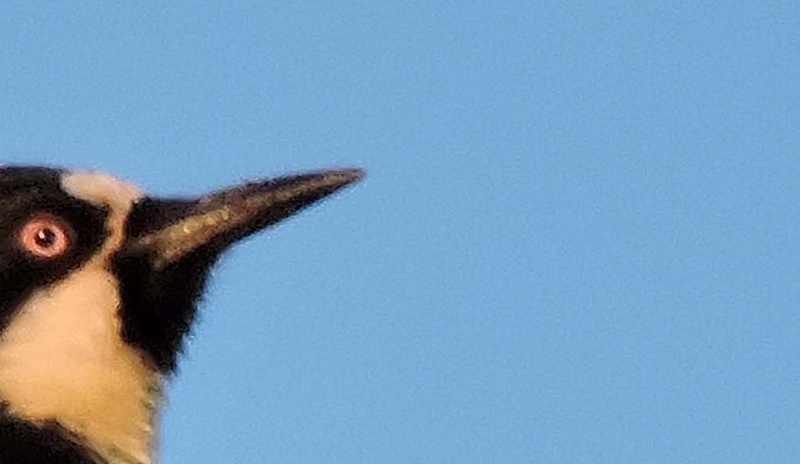 You can identify me by the patches of white on my face and wings, with a bit of red on my head too. I munch on flying insects but I'm usually found drilling holes to stash my acorns! Our new Measure Q Environmental Education Grant Program will be open on January 16, 2018. Grants are available to Public Agencies, Schools and School Districts, and Nonprofits. Learn more on our website or share this flyer with an organization that qualifies! The Measure Q Urban Open Space Grant Program is still open and accepting applications until January 12. Join us for a gentle walk along the first leg of the Arrowhead Trail. We will discuss Coyote Valley’s local wildlife and their habitats, and the water sub-basin located in Coyote Valley. Santa Clara Valley is rich in natural resources and we invite you to come and learn how they all fit together. In the winter, all the mysterious creatures and plants who need wet environments come to life. Come explore one of the most mysterious of all: slime molds. Discover a remarkable beautiful organism you may have never noticed before on this slow-paced exploration and engaging educational experience. Join us for a history walk along the Arrowhead Trail, a certified interpretive site for the Juan Bautista de Anza Expedition. As you hike this 4-mile trail, you will learn all about the Anza Expedition and the experiences of those families. 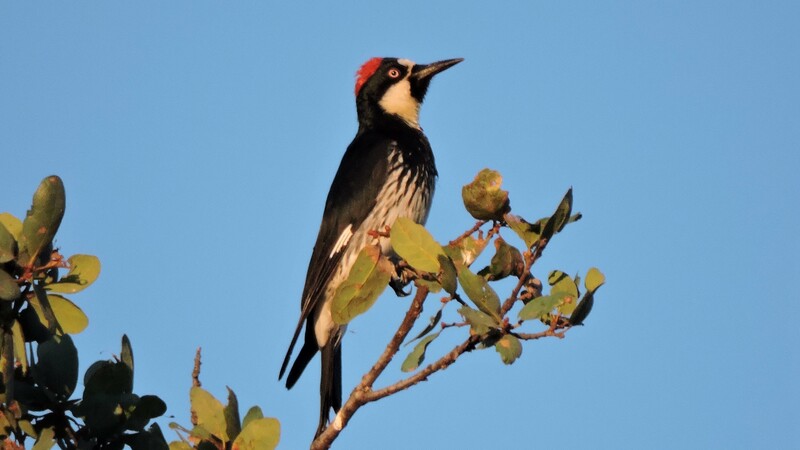 I am the Acorn Woodpecker! Found in Oak Woodland, across the Pacific Coast. 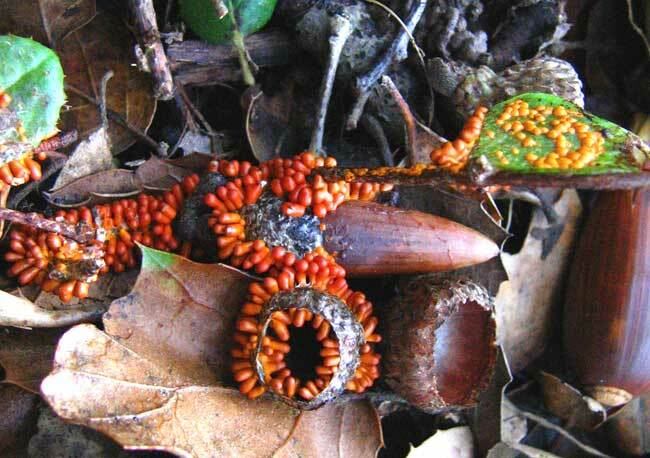 True to my name, I eat acorns which are stashed in the holes I drill into trees. Woodpeckers live in communal groups of about a dozen individuals, who contribute by gathering food and raising young. I can adapt to human development, and may even decide to store my acorns or drill for bugs in wooden buildings.